If you're a professional in the manufacturing industry, you understand that jobs are becoming harder to come by and may have some concerns about the future of manufacturing. In fact, five million manufacturing jobs were lost between 2000 and 2016, and the number of jobs out there is currently at 1940s levels. Before you start considering careers outside of your skillset, though, it's important to note that some manufacturing sectors aren't suffering. In fact, the following manufacturing career possibilities could improve your job security for years to come. Some industries eventually fizzle out and die, but the chance of this happening to the transportation industry is negligible at best. 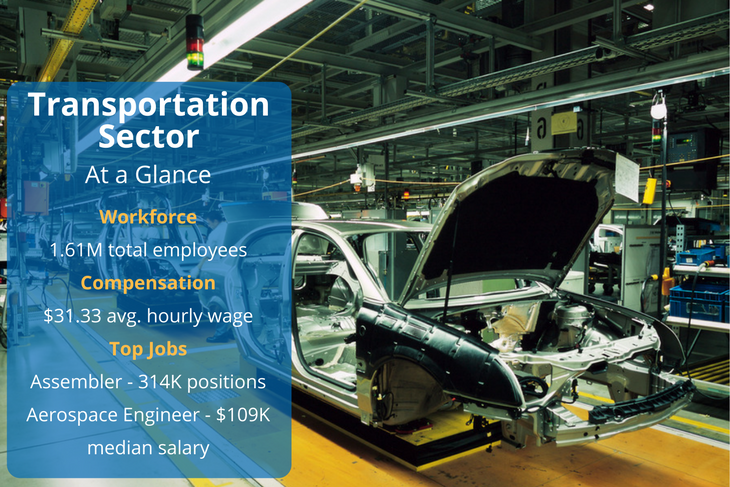 Even as millions of jobs were being lost among many manufacturing sectors, the transportation equipment manufacturing industry increased by 20% between 2012 and 2017. That 20% increase equated to 270,000 new jobs in this sector. By November 2017, this also brought the unemployment rate among transportation equipment manufacturers to under 2%. 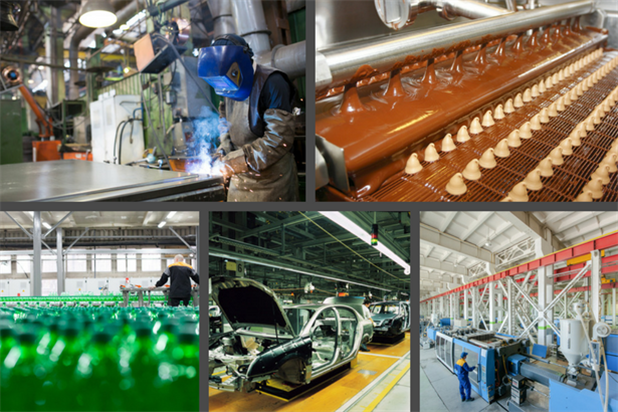 The best chance of finding manufacturing jobs is certainly in this area. 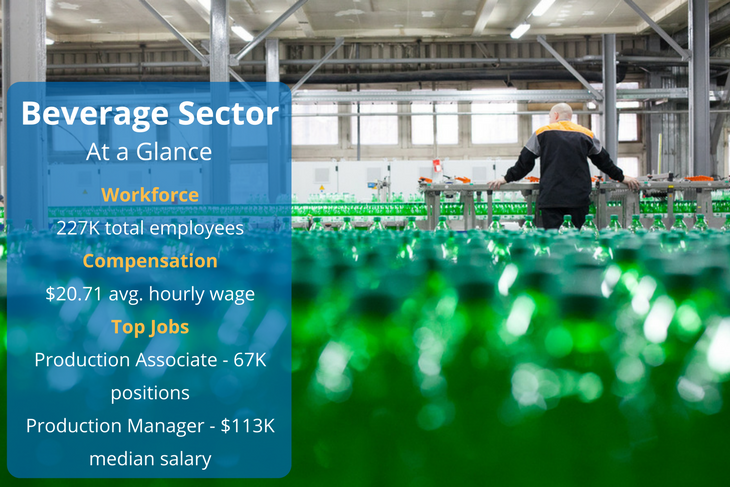 Soft drinks and champagne wouldn't typically come to mind when thinking of manufacturing jobs, but the beverage industry is actually one of the most complex and far-reaching sectors out there. Microbiologists, logisticians, farmers, and designers are all involved in the industry at some point. The last five years saw a growth of nearly 40% in the sector. This equates to 66,000 new jobs, so while Coca-Cola and Pepsi might not be the future of manufacturing, they certainly are doing some good in the industry. 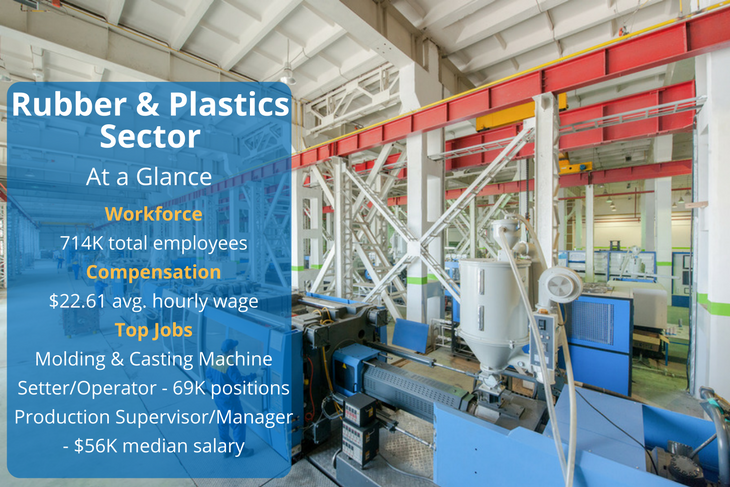 While the rubber and plastic product manufacturing sector didn't add as many jobs as other areas, it did see one of the largest relative increases. Between 2012 and 2017, there were 75,000 new jobs added to the sector. 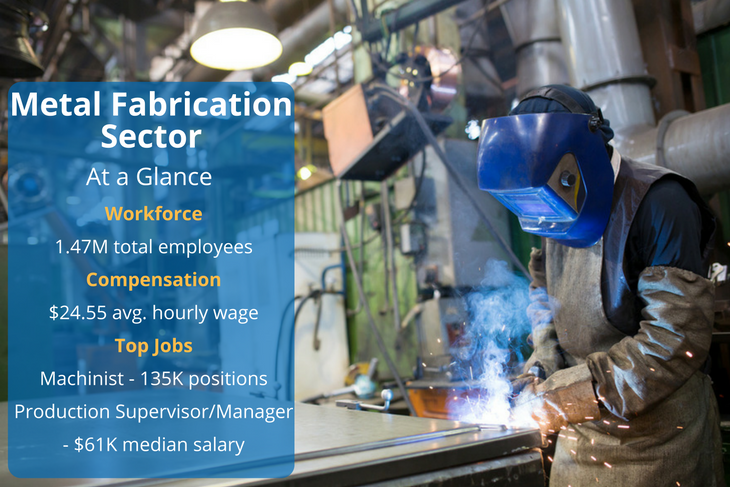 While this may seem mediocre compared to other manufacturing areas on this list, the new positions actually represent a 12% increase. Jobs available in this area range from inspectors and machine operators to packers and team assemblers. Since it takes minimal skill to work as a packager, this position typically has the lowest pay. If you can work your way up to a first-line supervisor, though, you'll more than double that salary. Welding, assembling, forging, machining, and several other skills are what keep the fabricated metal market going. With this range of manufacturing career possibilities, it's no surprise that professionals from all walks of life are making their way to the sector. Between 2012 and 2017, there were 109,000 new jobs added in this area, and this accounted for an 8% increase. The majority of jobs added in this sector went to machinists, but there were also nearly 80,000 new team assembler manufacturing jobs added. This means there are opportunities for professionals at any level of their career. If you're accustomed to constructing car parts or welding pieces of metal together, working in the food industry might not seem appealing. As it turns out, though, it has shown faster manufacturing sector growth than in many other areas. 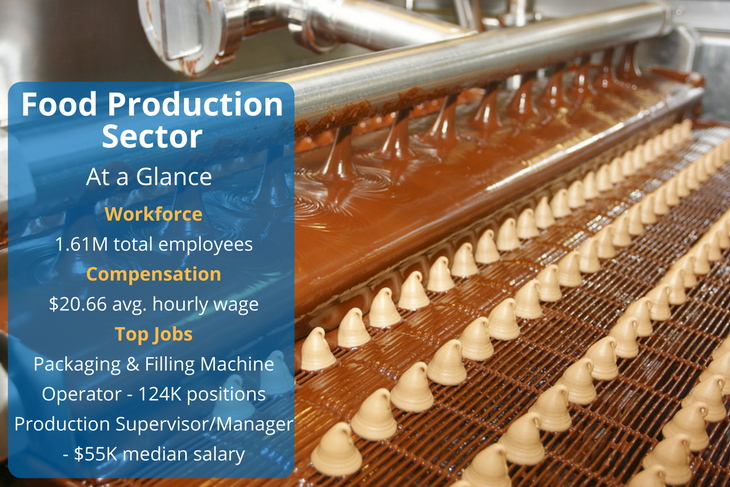 In fact, jobs related to the manufacturing of food products increased by 7% between 2012 and 2017. This equated to 95,000 new jobs in just five years, so if you can package, bake, supervise, or even work as a slaughterer, this sector may have a job for you. If you're at a crossroad between seeking manufacturing jobs and changing professions, rest assured that there are jobs you're qualified for out there. Being experienced in one field doesn't mean you can't easily integrate into another. The future of manufacturing may not appear strong overall, but with the manufacturing sector growth seen in the above areas, you can improve your job security just by looking in the right place.